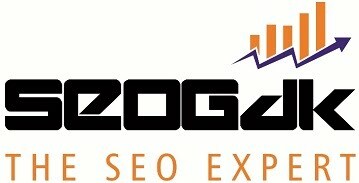 Why Keyword Research and SEO are Important for Your Business? One phrase that you will commonly find being mentioned by the search engine optimization (SEO) experts and in the entire digital marketing industry is ‘keyword research’, but do you really know what it involves and its potential impact on your online marketing strategy? In the online marketing world, keyword research is an integral part of the process whose end game is to develop a successful SEO strategy. It is a vital process but can seem quite daunting and be challenging especially in the early stages when you are trying to find appropriate keywords to focus your resources and attention on. It is why this quick guide was created to help you understand the process of keyword research. In this guide, you will get insight into what the process involves and the tools available to you to make sure that you have a successful online marketing strategy and a thriving online business. A keyword can also be referred to as a ‘search query’ or ‘search term’ and it is a word or phrase that users enter into search engines when searching for specific information online. A keyword can be a topic or idea that clearly defines what your information is about. It is important for the keywords on your page to be as relevant as possible to what people are looking for without the copy appearing spammy. Doing this ensures that your content will have a higher chance of being found by users among the results. Keyword research carries numerous benefits with the most important being that the search engines and by extension potential customers actually depend on the keywords to find your website/content. Trying to find suitable keywords to target might seem like a challenging and daunting process at first. 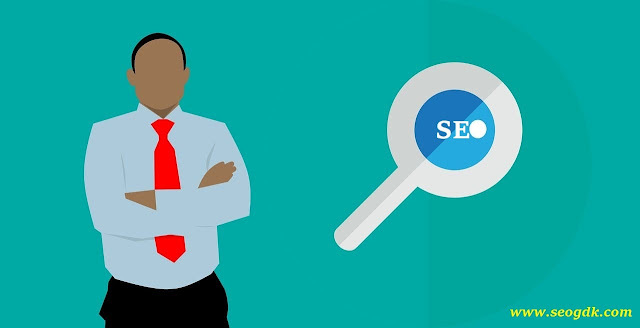 However, if you invest the time and target keywords correctly you will be able to reap the benefits of having a better search engine ranking, which results in increased organic traffic to your website. Businesses often make the mistake of delaying their keyword research. Businesses often invest the effort, time, and money into creating an amazing website just to realize that they forgot to understand or consider their audience and how they search for services and products. With this in mind, it is important for any business to do its keyword research at the very beginning of the website build process. If the process is undertaken right at the start, businesses lay a successful foundation for their online marketing efforts. It is important to note that it is not a one-off process. Trends come and go and so do the buying habits of customers as well as how they search for products and services online. It is important for businesses to continually monitor both the potential and current keyword phrases to ensure that they never miss out on opportunities for driving traffic to their website and generate leads. Keyword research might seem daunting, but fortunately, there are many tools available online that businesses can use to do their keyword research effectively. The following is a list of some of the most popular tools that businesses can use to improve their keyword research. The Google Keyword Planner is an excellent tool that’s both quite easy to use and provides all the information needed to choose the right keywords specific to the requirements of a particular business within just a few seconds. It can help you see how the keywords specified can potentially perform based on one’s location and even recommends a variety of keywords also likely to perform well. Keyword Spy is another excellent keyword research tool that receives great reviews. While there is a premium version of the tool, the free functions of the tool provide most of the information that businesses require. Keyword Spy can be quite useful since it allows businesses to see the amount of money their competitors are spending an on which keywords. SEMrush is another premium tool that has many free functions. The great thing about the tool is that it helps businesses see the number of times a particular keyword has been used on other websites. This can provide an indication of how competitive the market currently is and how a business is likely to perform with that term. MOZ has an amazing keyword planner tool that businesses can use to search for high-quality keywords. While it is a premium service it has multiple functions under a single service including search volume, query ideas, and SERP competition. The tool can provide insight into 4 areas for each keyword: potential, opportunity, difficulty, and volume. It is easy for some people to overlook Google Trends as a keyword planner tool at first, but it is an amazing tool that businesses can use to see where? what? and how people are searching for things online. Google Trends allows businesses to see the specific terms that people are searching for as well as how the volume fluctuates throughout the year. How Can Businesses Choose the Right Keywords? Every keyword has its own designated ‘volume’, which determines how frequently the phrase or word is searched for by users. It is highly recommended that businesses take into consideration the level of intent that each keyword carries when they are doing their keyword research. A business might have an idea of the keyword or keywords that it believes perfectly suit its industry or product/service. However, it might not be what the potential customers are searching for. It is important for businesses to have their preconceived notions challenged by the results of their research. Short-tail keywords contain less than 3 words. It is recommended that businesses not focus all their attention on the short-tail keywords since they are highly competitive and tend to be visitors with lower intent, which makes it a bit harder to rank highly for them. Long-tail keywords are the more specific phrases that are longer than 3 words. They are usually more specific to a business and niche, which means that the search volume will be less and so will be the competition, which provides businesses with the opportunity to rank well. While the long-tail keywords can lead to fewer page visits, the visitors are likely to be of high quality and more likely to convert. The challenge lies in trying to strike the right balance between finding keywords with high levels of intent, high search volumes, and low competition. The best advice is to focus on longer specific phrases since they are likely to be customers who are near the end of their buying cycle thus more likely to convert into leads. Keyword research might seem like a daunting process at first, but it is important to invest time into doing it right. Businesses that don’t have the time to do proper keyword research should consider outsourcing the service to a reputable SEO company. Lori H. Morris is a digital marketing specialist and content writer, specializing in marketing, SEO and social engagement for startup businesses and large enterprises. She helps organizations develop a successful SEO strategy through a variety of tactics. Nice. For now I only get to use Google's Keyword Planner tools since it's free. I will probably try keywordspy too, to at least get a different potential keyword opportunity. Nice post about keyword Research for a SEO & Business. Great tips; you've really helped me understand actually how to use keywords more to my advantage.